It is Christmas time in the Kingdom, but after all the decorations, the lights, and the gifts, the town has forgotten the true meaning of Christmas. Ironically, Professor Pinch and his side-kick Clawed help the town remember what Christmas really means when duo tries to destroy it. 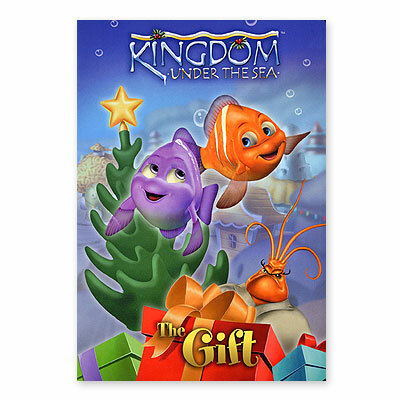 The Gift features your favorite fish characters once again and their journey to rediscover the true meaning of Christmas. Come unwrap the truth by adding this DVD to your homeschool collection today. Note: Our films are not available for blanket licensing through MPLC/CVLI.